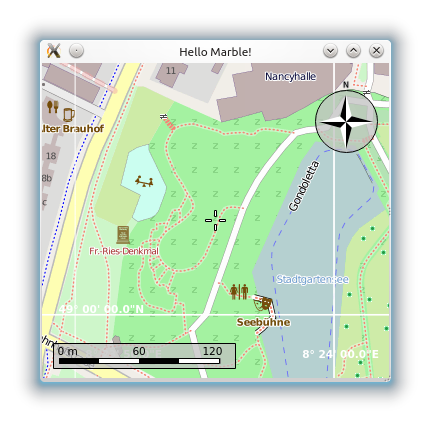 Further examples can be found in a set of C++ tutorials in KDE Techbase. They are also part of the Marble sources in the examples/cpp/ path. 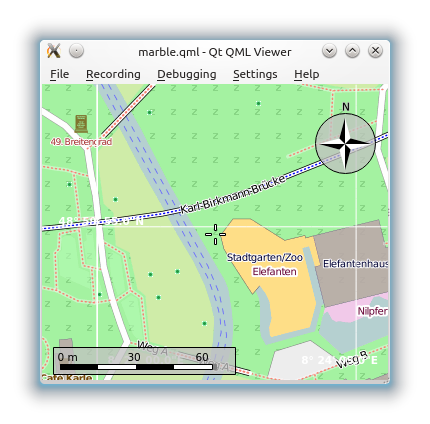 Further examples can be found in the Marble sources in the examples/qml/ path.